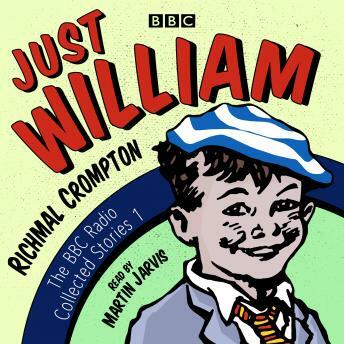 Richmal Crompton's stories featuring irrepressible schoolboy William Brown have been firm favourites with both young and old for decades. Perpetually scruffy, mud-stained and mischievous, he is a lovable scamp whose pranks usually end in disaster - for his harassed elders at least. With friends Ginger, Douglas and Henry (the Outlaws) and the angelic thorn-in-his-side, the lisping Violet Elizabeth Bott, William has rightly joined the literary, and radio, immortals. Martin Jarvis, who has been hailed as 'the wizard of the talking book' (The Daily Telegraph), has made the voice of William his own, and this collection of 54 laugh-out-loud stories will delight long-standing fans and first-time listeners alike. Also included are two bonus interviews with Richmal Crompton, recorded in 1965 and 1968.